Launching a company within an industry you know nothing about isn’t impossible; nor is it necessarily an unwise move. In fact, your ignorance can be a blessing as well as a burden. Just look at Elon Musk, who has started an array of companies in disparate industries — beginning with PayPal and continuing with SpaceX, Tesla and other ventures. With a background in fintech, economics and physics, Musk is thriving in the space exploration industry. 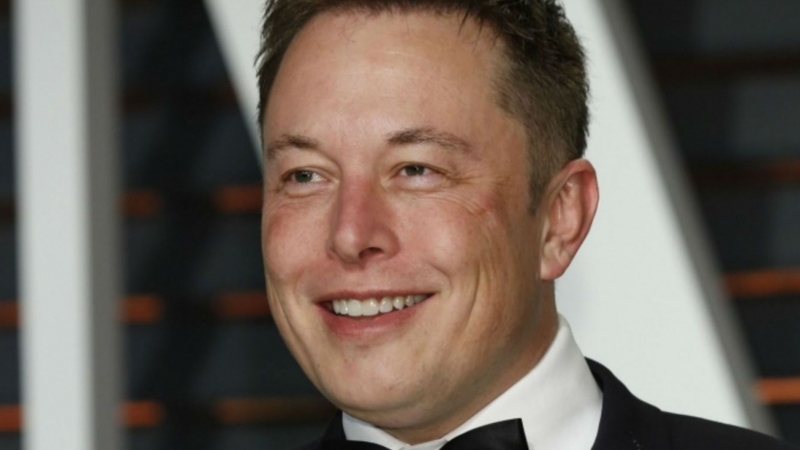 So, if a big name like Musk as well as countless other, lesser-known entrepreneurs have been able to successfully take on a new industry with only an idea and a lot of determination, why couldn’t I? I reasoned back when I first entered the video production industry. In actuality, I encountered obstacles as soon as I started. When that happens, those challenges can’t (and don’t) scare you. Today’s struggles help you develop tomorrow’s strengths. When I entered the video production industry, I encountered plenty of naysayers who seemed to be stuck in the late 1990s, when film equipment was more expensive and less accessible, making video content harder to create. My dream was to help companies meet consumers’ insatiable demand for video by making the production process cheaper and more efficient. Starting a business, even in an industry you know well, is never easy. If you’re jumping into a brand-new market, things can seem downright impossible. What’s worse, I had to look past industry veterans who felt threatened by my approach and told me I didn’t know what I was doing. Look — I’m not Elon Musk, and neither are you, but as my experience proves, you don’t have to be. While I didn’t know much about producing video content, I knew my vision was achievable. Today, Lemonlight is the company I dreamed it could be. 1. Ignorance can be bliss, but be careful with those assumptions. Before I launched Lemonlight, I conducted research to understand the market. And I probably spent more time at this task than many of my more established competitors. Nonetheless, I still made poor assumptions. For example, I assumed it would be easy to hire freelancers to shoot video all around the country. Right? Wrong. I quickly learned that freelancers have their own styles and agendas and that it takes a lot of work to find the great ones. Thus, many of those we worked with early on were, frankly, unqualified. I also ran into unforeseen expenses, such as a $40,000 server or payroll for media managers to move footage around internally. These costs added up fast. To compound that, I struggled with pricing early on since I really didn’t know how much it would cost to make the product. My experience mirrors that of Raaja Nemani and Aaron Firestein, founders of the shoe company Bucketfeet. Firestein knew how to decorate sneakers, but neither had any experience in shoe manufacturing or managing inventory. Failing to think things through properly led to a few big missteps for Nemani and Firestein early on: They once had a huge shipment of sneakers delivered not to a warehouse loading dock, but to their own house. They had mistakenly assumed it would be no big deal to unload 2,600 pairs into their garage. With a little (paid) help from the delivery man and a few friends, however, they made it work; today, Bucketfeet has sold nearly 500,000 pairs of sneakers. 2. Balance your fresh perspective with expert experience. While it’s important to maintain your can-do rookie outlook, it’s also critical to bolster it with the advice of industry insiders who have domain experience. Like me — and all entrepreneurs — you’ll inevitably be forced to learn some tough lessons quickly. Don’t let that discourage you. When CAN Capital’s Small Business Health Index surveyed small business owners about their expectations for the upcoming year, 64 percent of those surveyed anticipated growth. When I started Lemonlight, I often took solace in the fact that, with no customers, growth was the only option. You, too, should have a growth mindset. If you don’t have the capacity to stay optimistic, observe others who do and reach out to them. You’ll often find them running other businesses. After bringing on a co-founder with a background in film, I needed a while to reconcile his expectations about high-quality video content with my dream of providing it at unprecedented low prices. I wanted to sell all of our videos for $500, for example, and we managed to do that for a while! Still, my co-founder would constantly remind me that we couldn’t hire the right teams for so little money. Without them, our business would go under. So, working in tandem, we two slowly raised our prices until we found a price point that made sense for us and for our customers. 3. Resist and persist: Be open without conforming. You’ll definitely need expert advice, but that doesn’t mean you should always act on it. Jeff Kear, the founder of Planning Pod, said the worst business advice he ever received came from another startup founder: That founder told Kear that he must secure outside angel or venture capitalist funding if he ever hoped to be taken seriously and get off the ground. Deciding to go it alone and bootstrap his business instead of heeding that advice, Kear ultimately built a company that serves more than 1,200 customers and upwards of 20,000 users. Planning Pod has been in the black since its fourth month. It’s important to consider the feedback and ideas of people who have been in your industry for a long time; however, you don’t always have to agree with them. Typically, those who possess the mindset that created an industry aren’t going to disrupt that industry. Be gracious when having tough conversations with industry veterans, but remember that it’s okay to challenge anyone and everyone around you if it’s going to move you forward. As an entrepreneur in a new industry or one you’re deeply familiar with, you’re going to run into challenges, setbacks and failures. Don’t let them stop you. By staying your own unique course, you can learn your own lessons, turn your vision into a reality, achieve your goals and live your wildest dreams — just like Elon and me.